1. 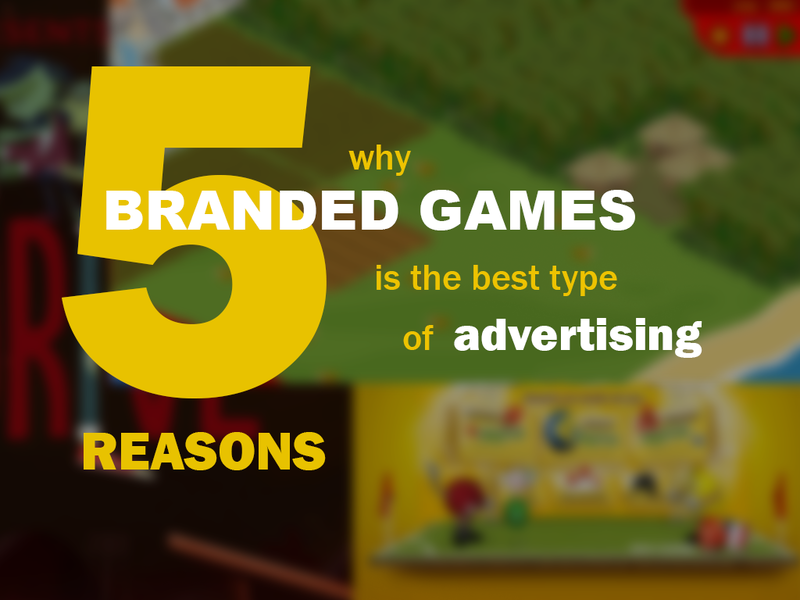 Why using branded games? Thewell-known fact is that millions of people are already playing games. Games attract players – branded games attract consumers. 2. What are the mainbenefits of branded games? Branded games engage the consumer in the product in an entertaining way, that boosts brand awareness, delivers brand loyalty and collects detailed data about existing and potential customers and clients. 3. How are they distributed? The game is never developed without the detailed study of your brand. Only after such study the team of developers and marketers can choose the best appropriate type of game for your brand and implement it in reality. Online-playing branded games can be embedded on your website or landing page, on your Facebook or some other social network page. The social sharing ability of branded games and branded games web links via social networks can give a huge brand engagement. 4. What companies already have branded games? Both world-known and local brands use such games as a part of their marketing strategy. They are: McDonald’s, Toyota, Coca-Cola, Disney and a lot of other corporations, but it doesn’t mean that branded games are only for huge companies – original and enjoyable game can successfully advertise any product or service irrespective of how popular the brand is. 5. How much does a branded game cost? The range of the prices differs, depending on how complicated the game is and which kind of graphics is used. Anyway – regardless the cost you spent on it, you will sure have a high percent of return on investment.